Be the first to hear about their new releases and deals. 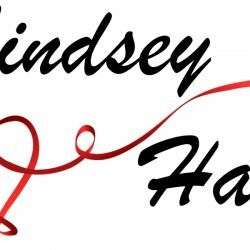 Download the Booksprout app and search for Lindsey Hart today! Lindsey Hart is a married mom of a two-year old and lives in Ohio with her husband and two furry balls Persian cats who considers themselves to be the owners of the house. She specializes in sweet to extra hot and dirty romance and strongly believes in happily ever after. If you are looking for a page turner, you are in for a wild naughty ride with feisty heroines and alpha male heroes.